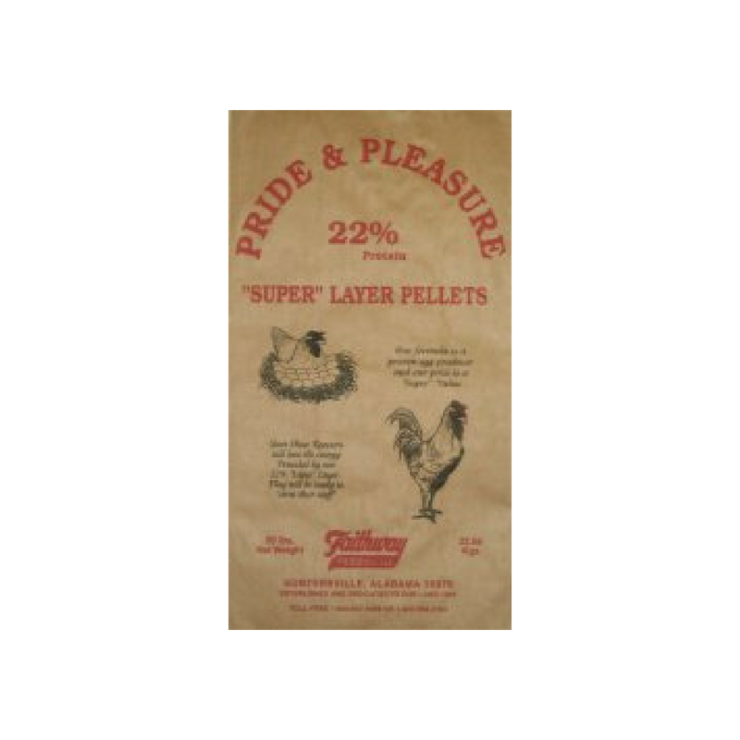 Pride & Pleasure 22% Super Layer Pellets are a boosted egg producer to aid top quality hen’s overall health and quality production. These ingredients are designed to produce eggs in abundance and energy to burn! KEEP FRESH CLEAN WATER & GRIT AVAILABLE AT ALL TIME. DO NOT feed moldy, insect or rodent-infested or sour smelling feed to livestock as it may cause illness or even death. KEEP FRESH CLEAN WATER & GRIT AVAILABLE AT ALL TIME. DO NOT feed moldy, insect or rodent infested or sour smelling feed to horses as it may cause illness or even death.